Heddon Street – a haven of fantastic restaurants and bars nestled behind the bustling and frantic Regent Street in Central London. It is home to Piccolino, the Ice Bar, and perhaps more interestingly, Sakagura. 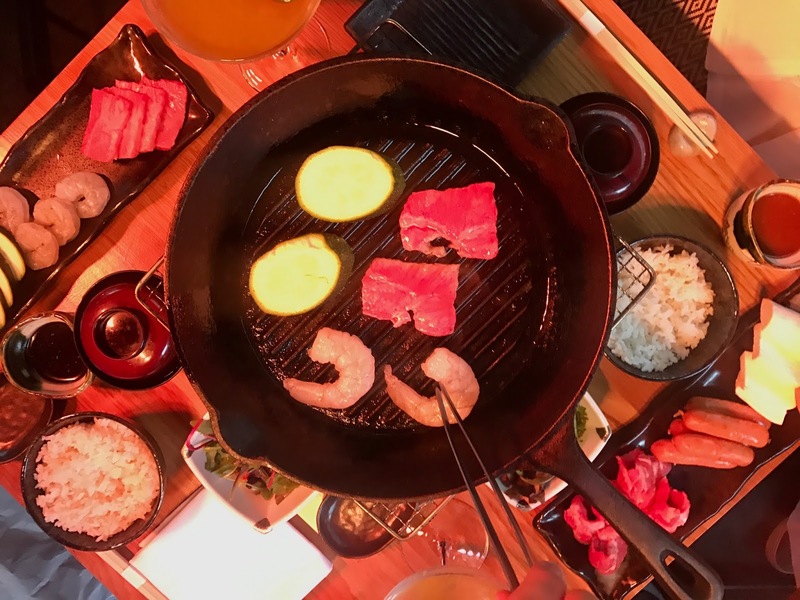 Here they serve up the most delicious and high quality Japanese barbecue you could hope for… or in fact they don’t… you, the guests do! 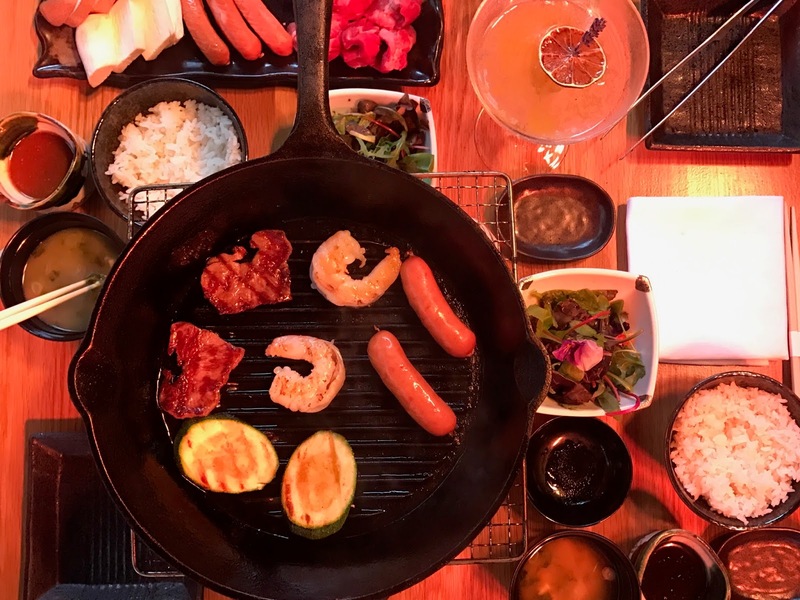 With the Yakiniku Barbecue set, you can choose 3 from a list of meat, seafood and vegetables, which also includes steamed white Koshihikari Rice, Tofu and Wakame Miso Soup, and Wafa Salada, plus a choice of Ice Cream for dessert. With aprons at the ready, we cooked what was an amazing dinner! 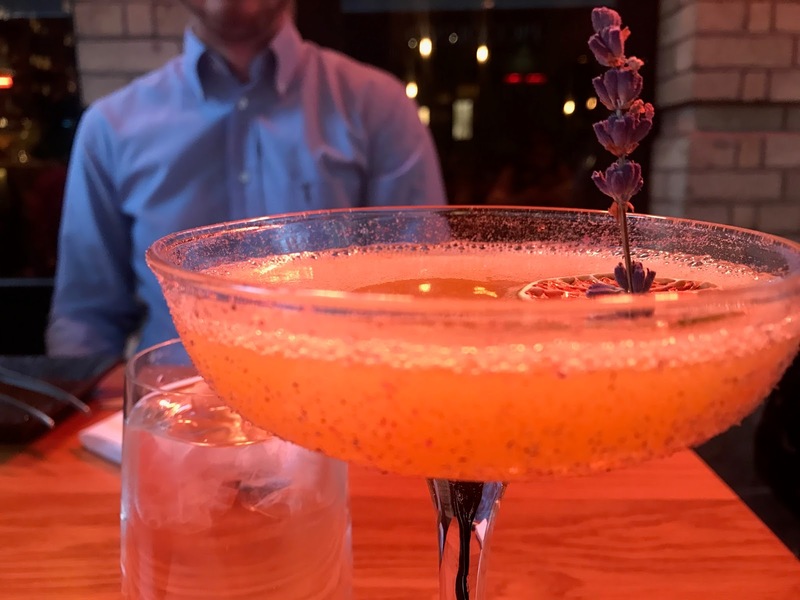 As all good Wednesday nights go, we kicked things off with cocktails and enjoyed a glass of Furano Fields, a floral and fruity drink with both gin and brandy. It was good, but with a price tag of £15 each, we couldn’t justify another. Amongst the prawns, sausage, courgettes and mushrooms was our stand out winner of the evening – the Japanese wagyu. Perhaps expected with a massive £11 surcharge for the pleasure of having it, but the meat was succulently tender and if you’re looking to treat yourself, this is definitely the way to go. 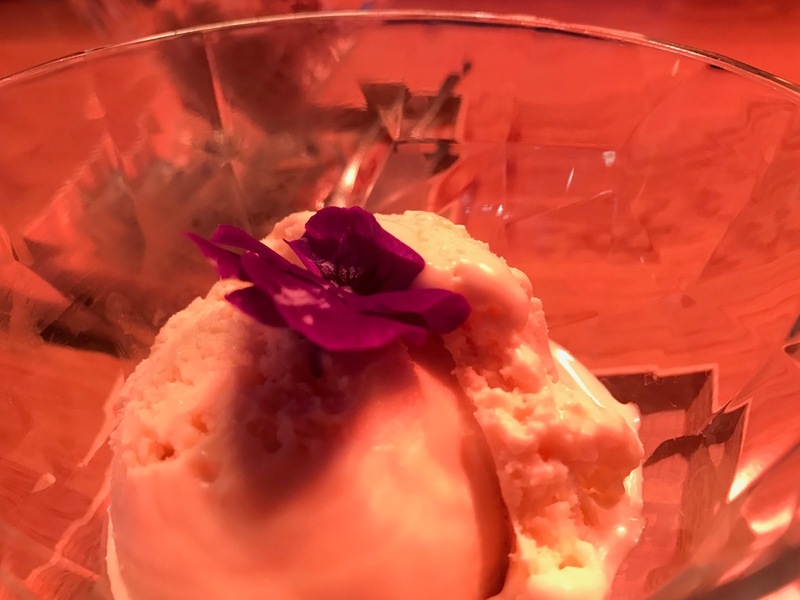 With the three selections from the barbecue set, the rice, soup and salad completed the meal and left us just enough room for a fantastic ice cream dessert, which was included in the price of the meal. Dark chocolate wasabi and soy sauce caramel had us a little skeptic, but they proved to be amazing and gave our taste buds one last tickle. 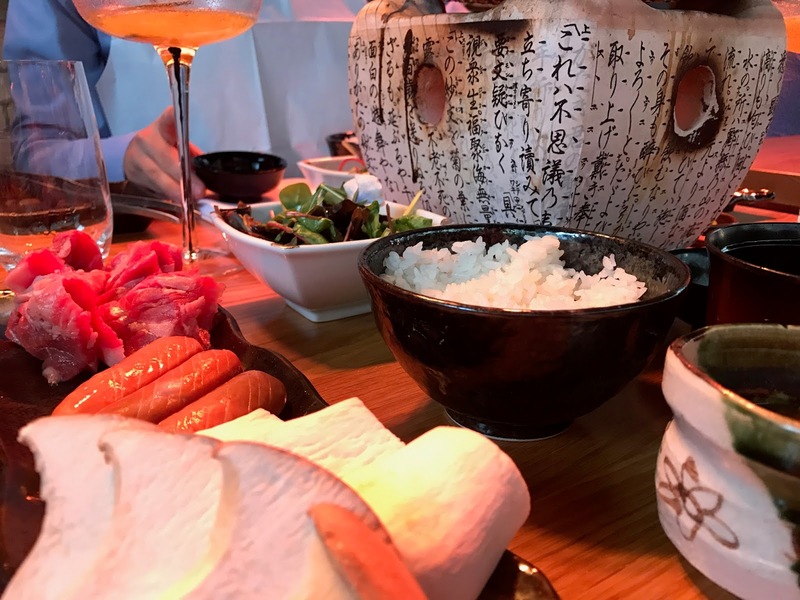 We had a fantastic evening at Sakagura and we do imagine it to be a great meal to have with friends and family who are up for the cooking experience. 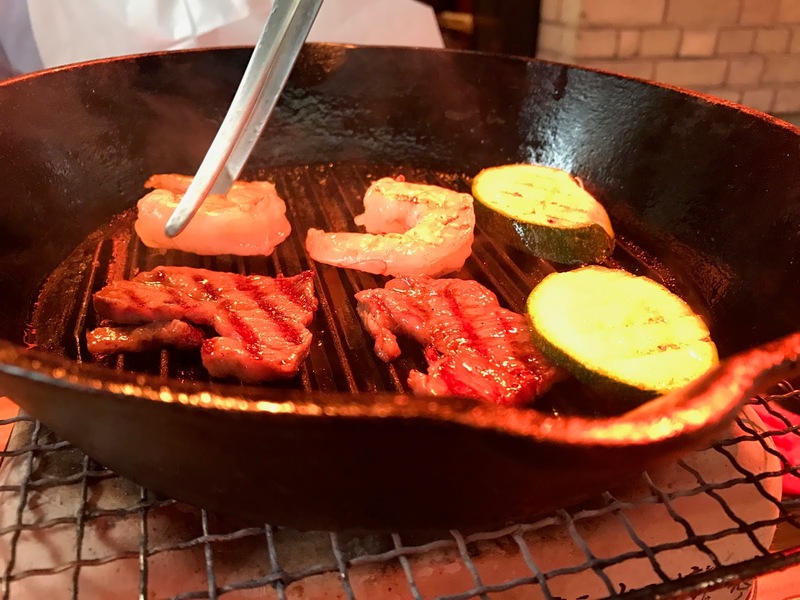 Although on the pricey side even for Central London standards, the quality of the meat and vegetables is there for all to see and therefore also serves as a fantastic occasion venue. A massive thank you to all at Sakagura for having us along! Hi, I so want to visit somewhere like this. 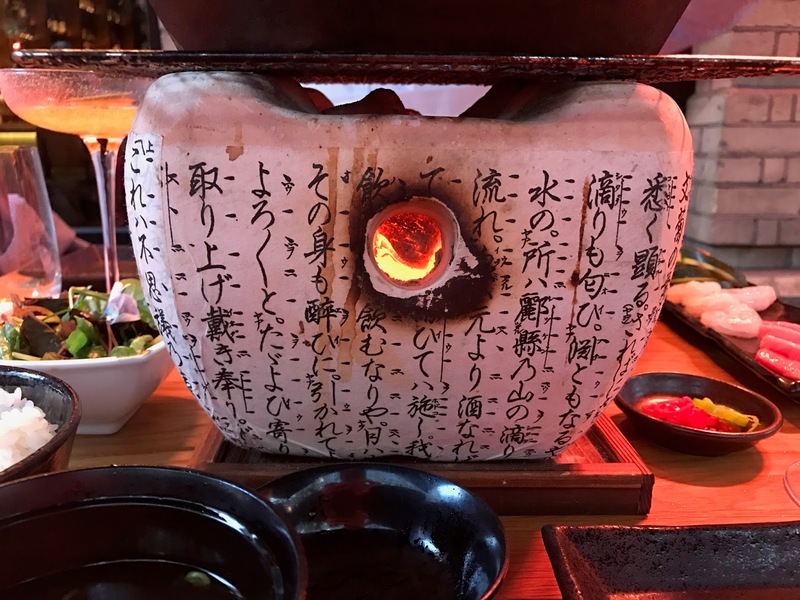 I loved the idea of seeing what you have chosen being cooked. The portion size looks spot on and I love anything with rice. I am book marking this a place to visit in the future. Thanks for sharing. This sounds like a real restaurant experience and that's what I love about it. My other would love this, it's right up his street! Your photos are making me so hungry. I havent tried Japanese food before but I would be up to trying to sometime. Glad to hear you had a a nice time at the restaurant. It sounds like a lovely place to go with family or a group of friends as it seems like a fun experience to cook the meal together.